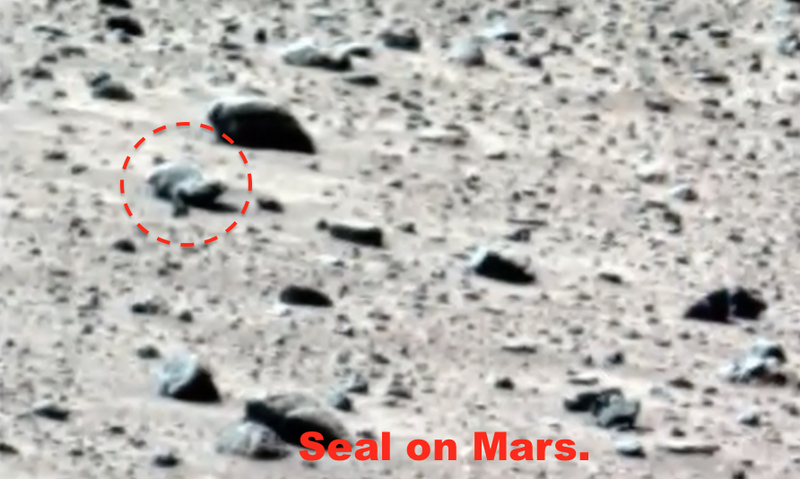 UFO SIGHTINGS DAILY: Seal Found Looking At Mars Rover In NASA Photo, July 2016, Video, UFO Sighting News. Seal Found Looking At Mars Rover In NASA Photo, July 2016, Video, UFO Sighting News. I know what you are thinking. This can't be real, but if you click on the official NASA photo taken by the old Spirit rover, you will see it is real. When I enlarged the photo I could easily make out its black nose, eye brow ridge, and its right flipper. 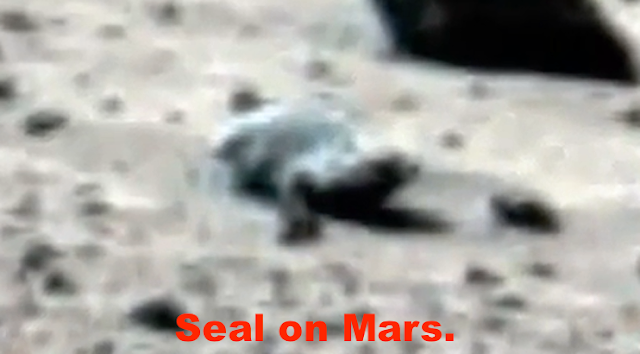 Its back is curved slightly and everything points to this being a real seal like creature. It was found by Luxor2012UFO of Youtube. Awesome discovery, and this is why the public needs to control the NASA rovers, and not the government. We need the truth.